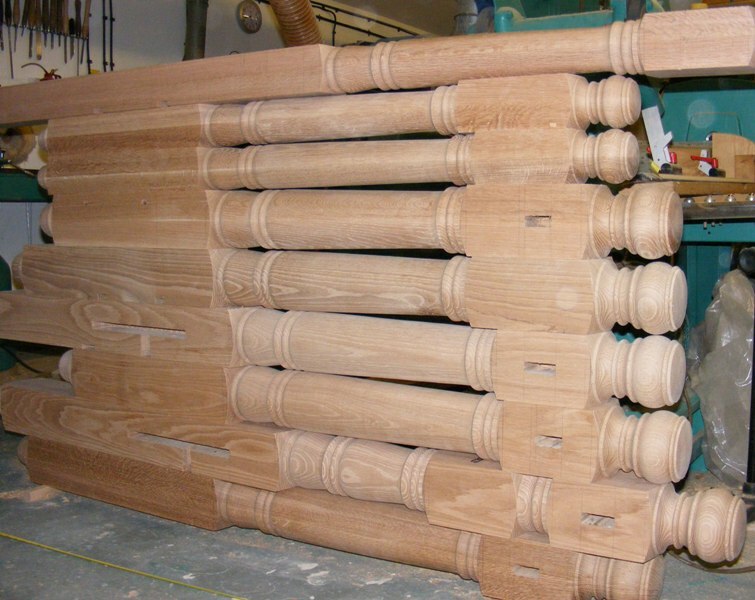 Turned Newel post frequently need to be made to order either for a refurbishment or for a new build,frequently it is quicker to joint a long newel rather than turn the newel in one piece.The joint is hidden at a natural break point, such as in the corner of a detail ,Below are some examples of newel sets that have been hand turned .Some of the newels the caps included others are with loose newel caps or have pendant finials.Some of the newels are pre morticed so that the newels just need the square sections sanded and they are ready to be fitted. Oak turned newels with burger newel caps hand turned by Phil Jones professional wood turner. Redwood turned newels with pendants and caps hand turned by Phil Jones professional wood turner. Redwood turned newels showing center detail and newel caps hand turned by Phil Jones professional wood turner. 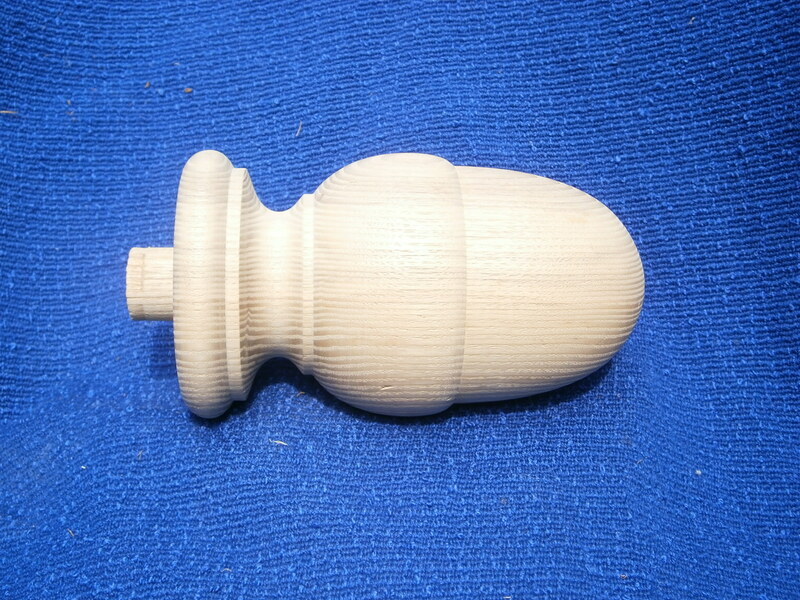 Ash loose pendant newel cap turned by Phil Jones professional wood turner. 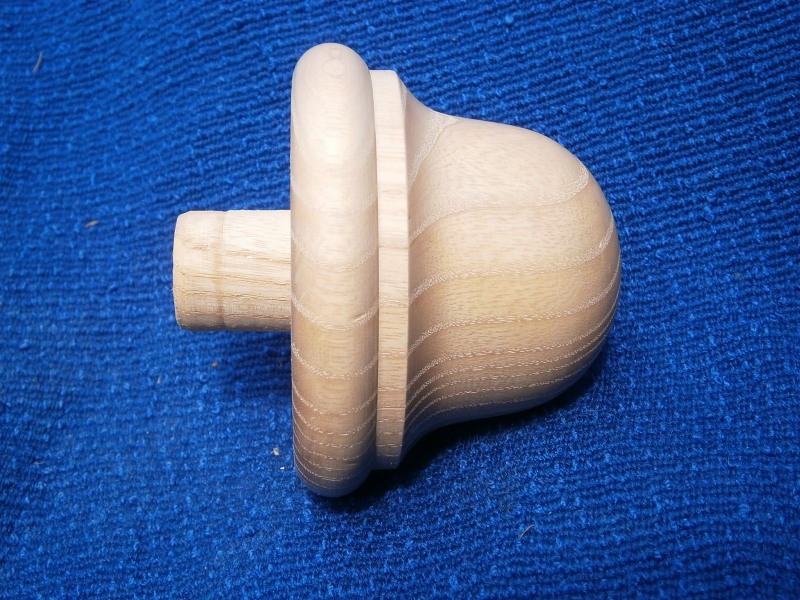 Ash acorn turned newel cap hand turned by Phil Jones professional wood turner. 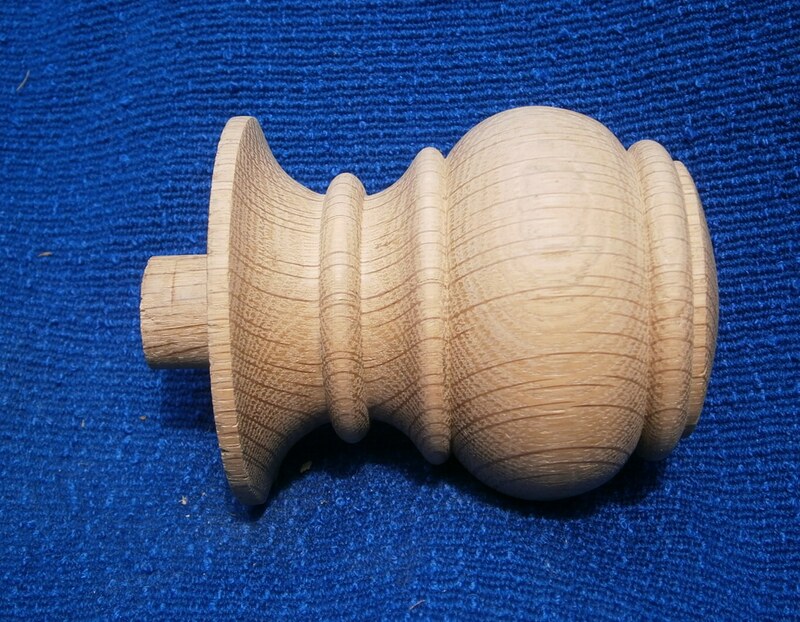 Oak turned newels close up of Burger newel cap hand turned by Phil Jones professional wood turner. Redwood turned fluted newels hand turned by Phil Jones professional wood turner. Oak turned fluted newel post hand turned by Phil Jones professional wood turner. A close up of Sapele twisted turned newel hand turned and carved by Phil Jones professional wood turner. Twisted Sapele turned newel post hand turned and carved by Phil Jones professional wood turner. Redwood twisted newel turned by Phil Jones professional wood turner. 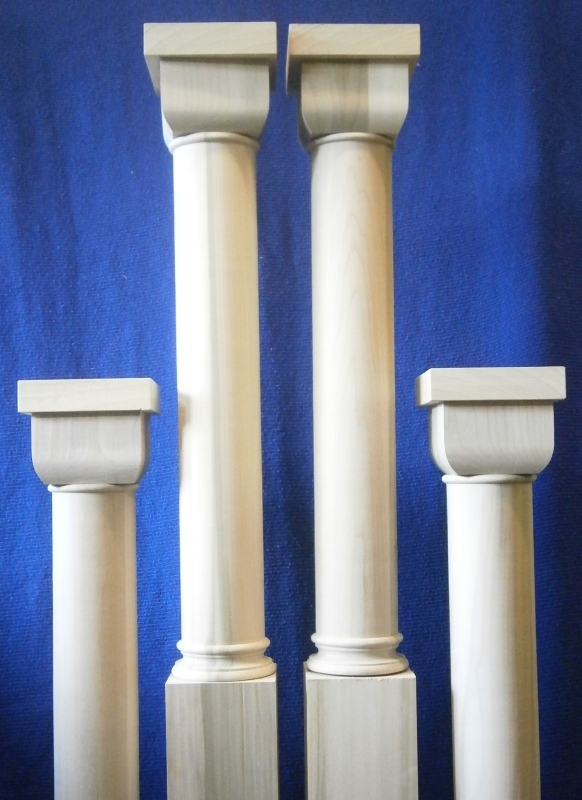 Tulipwood turned newel posts caps turned by Phil Jones professional wood turner. 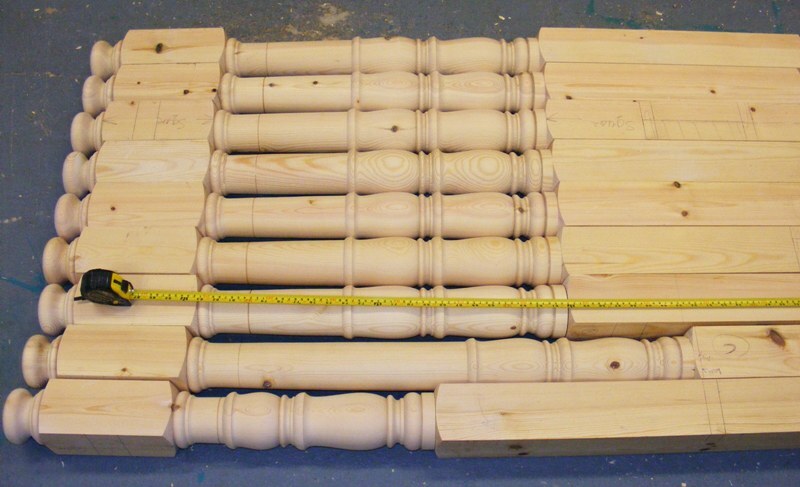 Meranti newels turned to match existing newels hand turned by Phil Jones. 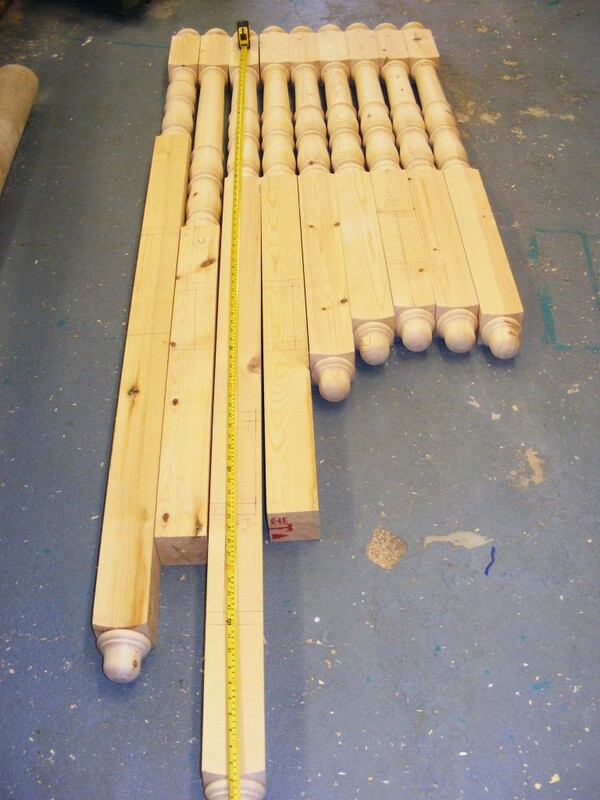 The newels above were turned for a loft conversion to match the existing newel posts in listed property.The newels above varied compared to the originals so the pattern had to be adapted to fit the lengths required, the timber was Meranti.The picture below shows the method used to copy a newel post for which a pattern can not be supplied to copy.A piece of ply or plasterboard is taped to the newel so it will not move and then all the key lengths are marked across to the center line,then a rough drawing is made of the profile.The next step is to write all the key diameters in along side the relevant detail.Digital photographs also help greatly in matching a turning. 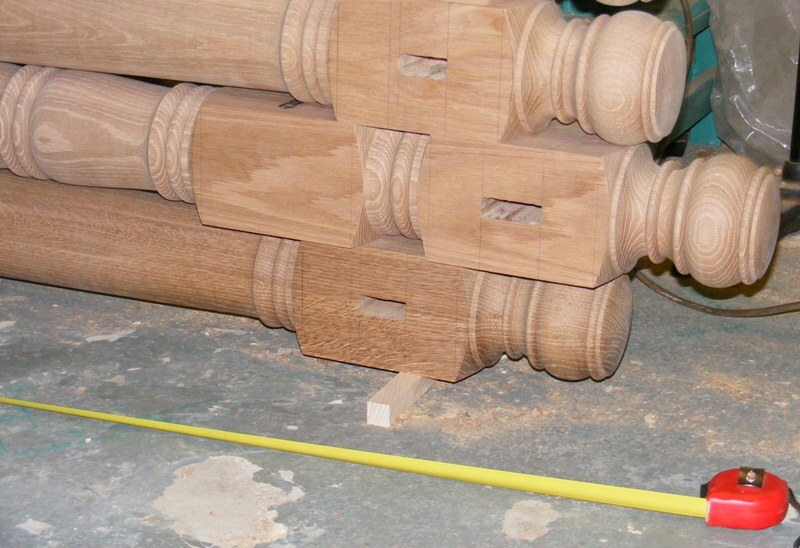 Tulipwood newel posts with an unusual square section at the top. 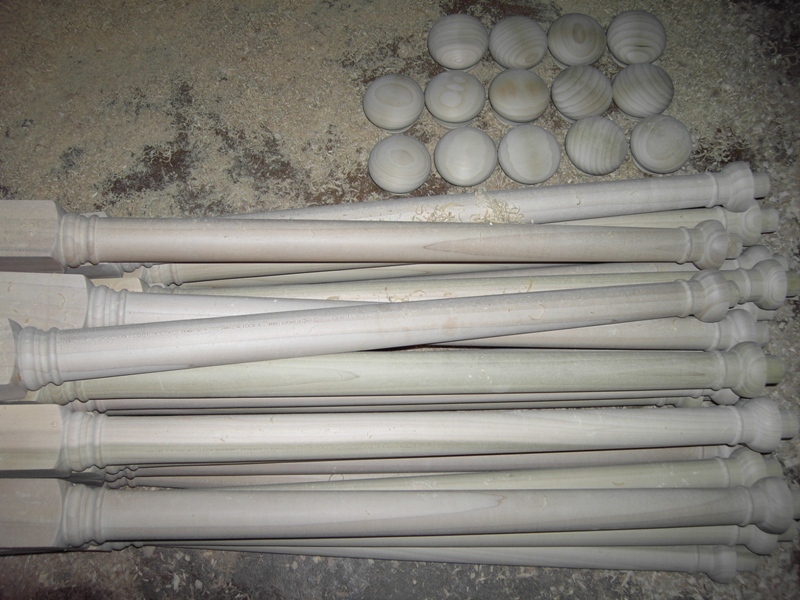 The caps below are of a quite challenging design having twenty divisions rather the normal twenty four.The newel cap fluting and the radius at the top of each flute was carved entirely by hand time consuming but necessary to match the originals.